In early 2013, the Johnson Controls Institute (JCI) for Building Efficiency conducted its seventh annual Energy Efficiency Indicator (EEI) study. The study analyzed energy efficient technologies, practices and investments made by over 3,000 executive decision-makers around the world — including many schools. It found that organizations with publicly stated energy conservation goals implemented 50% more energy management practices than organizations without goals. Most notably, JCI found that 70% of organizations with goals track and analyze their energy usage data at least monthly. This supports our view that the foundation of an energy management plan is utility bill tracking and analysis. Tracking your utility bills allow you to look at your energy consumption over a period of time, and determine your average annual consumption. Knowing your baseline for consumption enables you to make educated decisions on how to save energy, allowing you to set conservation goals that are realistic and achievable. Tracking consumption should always be the first step in an energy management plan. After determining your average annual consumption and setting conservation goals, the next step to design an energy management plan. 67% of organizations with goals have created an action plan to implement energy improvement projects. The key to creating an energy management plan is figuring out what works for your school, staff and budget. Your plan could include behavioral modification, competition between schools, or retrofitting old equipment. There’s not one size that fits all when it comes to energy management. Once you have implemented your energy management plan, it is critical that you continue to track your utility bills. This tracking allows you to mark progress toward your goal and justify expenses associated with the conservation plan. 68% of organizations with goals measure and verify energy project savings. Utilizing a utility tracking software, such as UtilityDirect, simplifies tracking by storing all your energy data in a centralized database and offers enhanced reporting capabilities – including a building by building analysis and a breakdown of energy consumption and spend by meter. These reports allow you to pinpoint the building(s) that are the least energy efficient, enabling you to design more focused and effective conservation plans. 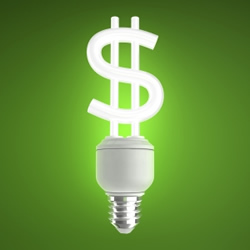 From JCI’s study, we know that the #1 driver for energy efficiency in the United States is energy cost savings. Utility bill tracking and analysis allows you to accurately report on the energy cost savings that have resulted from implementing an energy management plan. The savings you’ve found can be put back into your annual budget. Maybe you’ll finally have the budget to do that district-wide lighting retrofit you’ve been considering? Already tracking your utility consumption, but want to know how you compare to schools across the nation? SchoolDude’s new Key Performance Indicators (KPIs) allow you to see where you stand in comparison to our 6,000 clients. You can easily share the results with administrators in your organization. And if you want to improve your score, we give you perspective tips to help you become a SchoolDude All Star. Statistics referenced in this post can be found in the Johnson Controls Institute (JCI) for Building Efficiency seventhannual Energy Efficiency Indicator (EEI) study. How Much Energy is Your Technology Using?